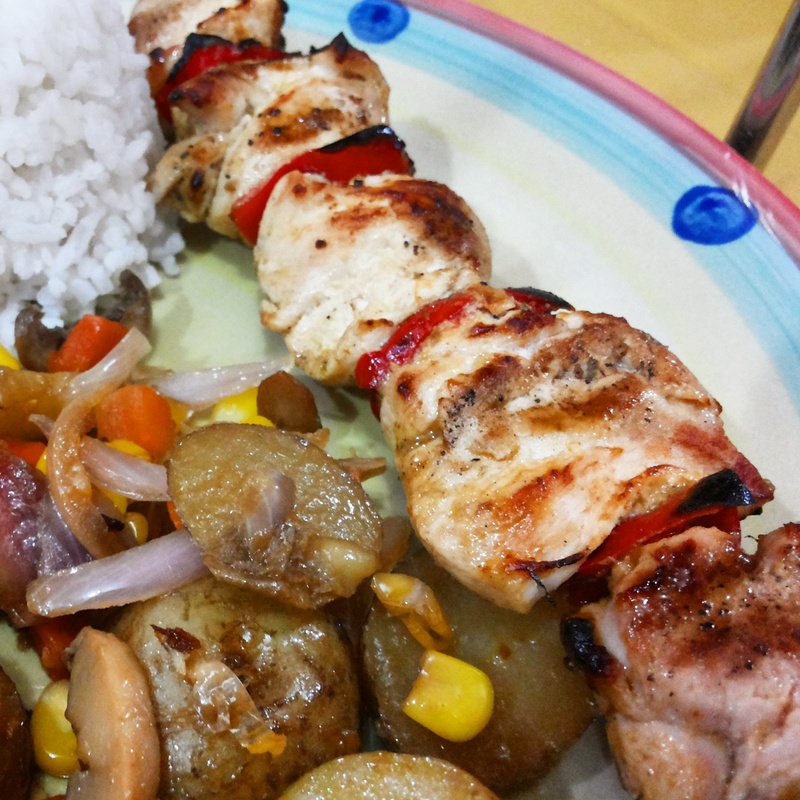 After getting recommendations re this new Kebab place/hanging chicken in Obrero, finally I got the chance to dine at Espetada Food House, and it was a delight from the first bite. 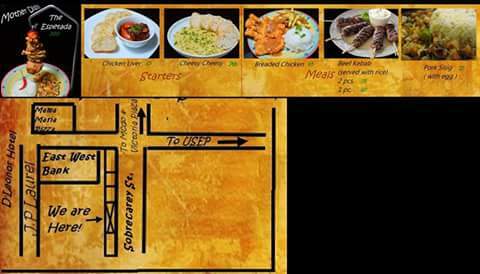 Espetada is located along Sobrecary St., Bo. Obrero. , in that strip of eateries where Blue Carabao used to be located. The humble mediterranean inspired food house, serves mainly grilled chicken and beef kebab, among other meat dishes. 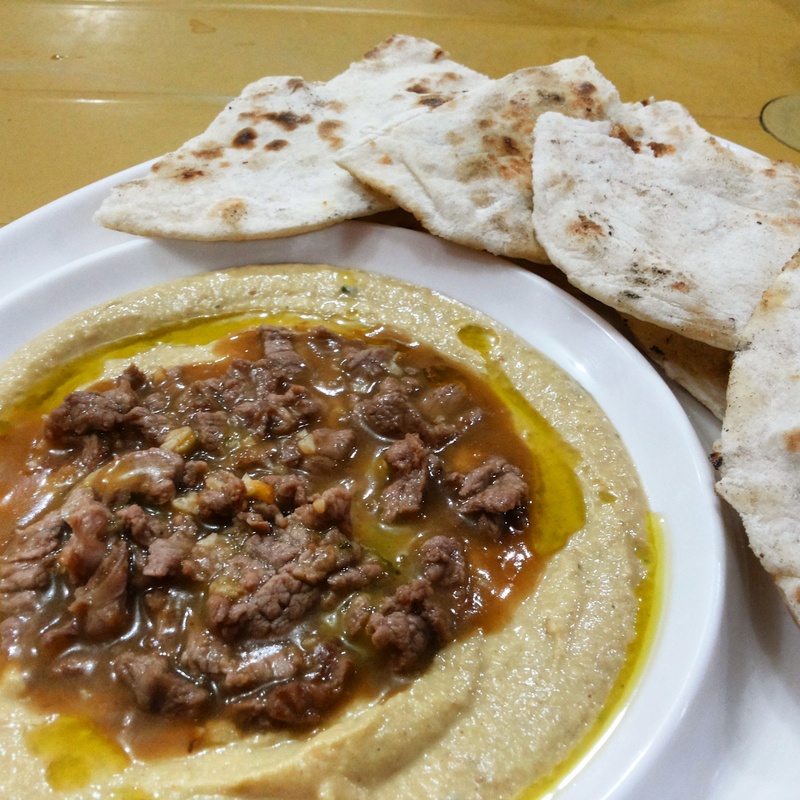 They also serve hummus/yogurt dips at fairly affordable price. 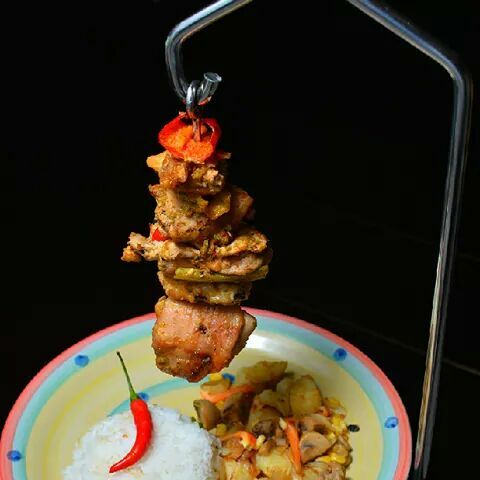 What’s unique about this food house is that the Chicken Espetada is served hanging on a metal stand, juicy hot and dripping to a plate of rice below it. Espetada is a Portuguese dish made usually of large chunks of beef or chicken rubbed in garlic and salt, skewered onto a bay leaf stick. To put it in simpler term, Espetada is meat on a stick – the Portuguese way (from Espetada FB Page). You also have a choice to make your espetada mild or spicy. 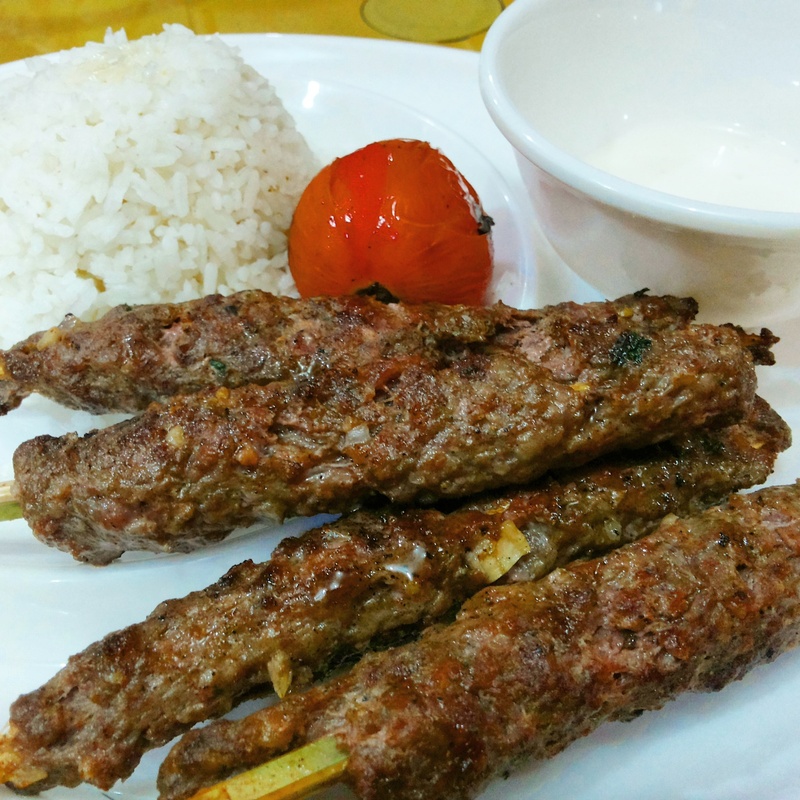 Beef Kebab is also another house specialty; Tender meat, smoky and spicy with a hint of curry flavor to it. This one is super good ,I really recommend. May Competitor na ang Majids. Goodluck ! Beef Kebabs . 3 sticks at 75 pesos . Rice at 10 pesos. This one is super good . I can really recommend. May Competitor na ang Majids. Goodluck ! 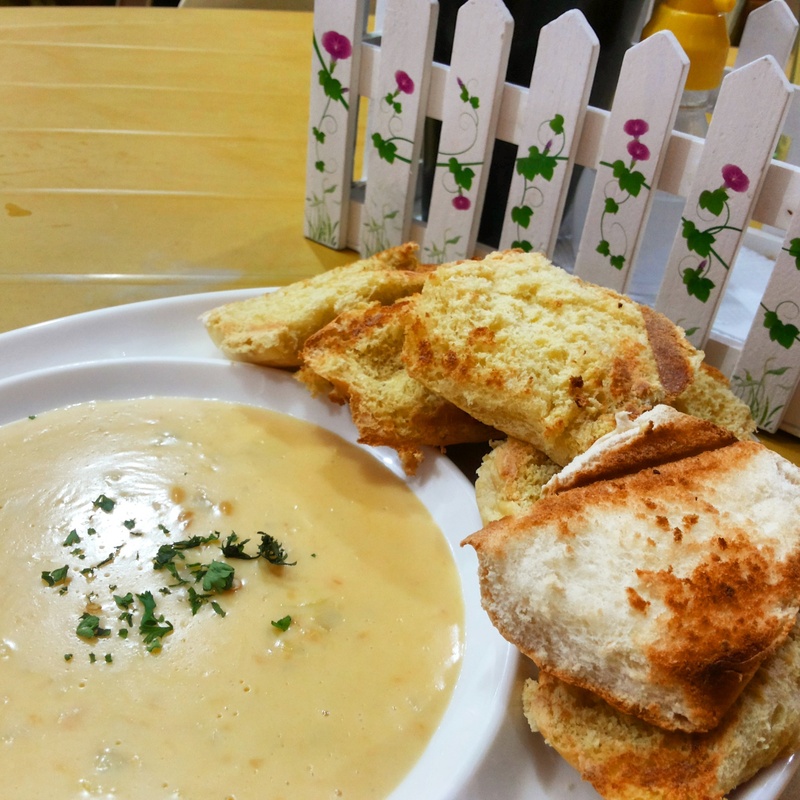 Beefs Hummus ( Greek Style spiced yogurt dip ) at 85 pesos. Good for sharing. 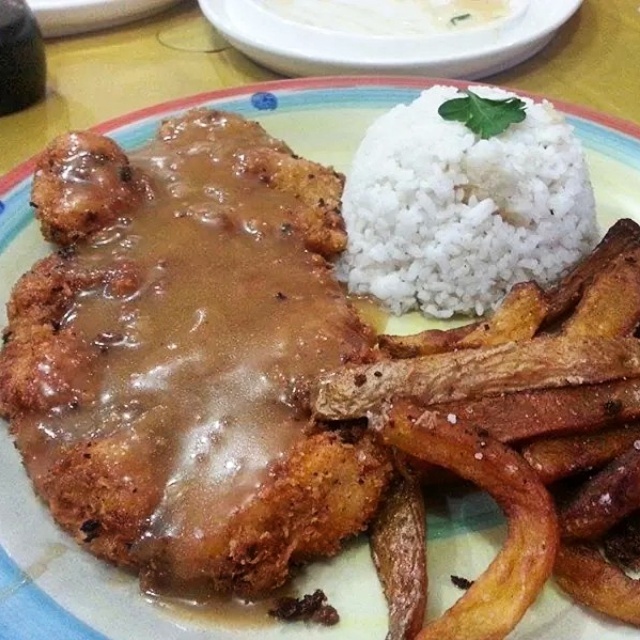 Espetada House of Hanging Chicken is open Tuesdays to Fridays at dinner time from 4PM to 12Mn Saturdays and Sundays from 12nn to 12Mn . Closed on Mondays. They also serve mixed drinks by shot and by the pitcher . Would love to have that soon. For inquiries and bulk orders , contact 0908 969 8694.